The Pekingese is a small, unique breed of intelligent and sturdy dogs. Owners find qualities similar to a proud lion, for which the breed is named. These dogs are confident and independent, but once they have a good, authoritative owner, they become loyal and protective companions. 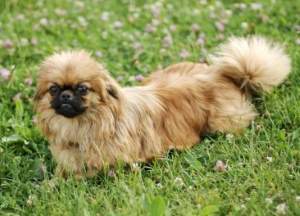 The Pekingese is altogether an adult dog. They appreciate mature company, enjoying the respect they feel from adults and teenagers. These dogs are not recommended for families with children, and should be monitored when playing with any small children. When children play or pet a dog, they should always know the rules on how to handle the pet beforehand. These dogs are notoriously independent, moving around in a dignified but wary manner. If they get interested in something, it may be difficult to get their attention once again. Pekingese are known take any opportunity to explore, and should be kept on a leash while walking. This breed is also known to take off after wildlife they come across. If a squirrel crosses a Pekingese path, it’ll be glad that dogs can’t climb. They can also chase said rodents into nearby traffic, so it is recommended that they are provided with an enclosure when outside. Luckily, their size prevents them from being escape artists so invisible fences can work as well. The way a Pekingese treats other canines relies a lot upon how it is raised. If it is raised with other dogs or pets, it will most likely be more social. These dogs are otherwise wary of other animals, and will bark when alerted to their presence. They can be protective of their owners from other pets, so it is important to socialize them early on. They have also been known to be quite jealous of other pets in the household. This breed is known for barking somewhat often and loud. They mostly vocalize when alerted by something unusual in their environment, so it depends on how they were raised. The more exposed to other sights smells, and sounds, the less surprised they will be by new ones. A well socialized and exposed dog will be more quiet. The Pekingese prefers to be with its owners than anyone else. When with guests, they will act more aloof and unresponsive. They are not hostile to their family, but they can be defensive with strangers. This breed is similar to a cat in its behavior with unfamiliar visitors. An attractive quality of this breed is its ability to spend time alone. These dogs are independent and don't need the company of humans to stay content. They are capable of being alone for prolonged periods of time which is unlike that of other small breed dogs, although, their tiny bladders makes access to a restroom a necessity. Often owners will hire a dog sitter or send their dogs to daycare if they are not home all day. The Pekingese is not an energetic dog. They prefer walks, relaxing, and patrolling about the property. They are not very playful or affectionate dogs, making ideal pets for adults and elderly. These dogs are particularly sensitive to heat. Their short noses make it difficult for them to breath quickly, and also, cause them to snore. They are just one of many brachycephalic breeds that have these problems. They are more tolerant of colder temperature, but during periods of heat, these dogs should stay inside in air-conditioned areas. They is also known to have a bit of an appetite and is prone to becoming obese if overfed. The breed originates from China, where it has maintained a strong presence for a very long time. This breed is considered to be one of the oldest that exists, having been around for about two millennia. In China, they were known as lion dogs for their large manes and even larger spirits. These dogs held royal status in ancient China. The Pekingese was often the dog of the wealthy and powerful in the country. The aristocrats and royal families preferred these dogs as companions, from which the poor were excluded. These dogs were also known to accompany Buddhist monks in their temples. The breed was named after the country’s capital, Peking, now Beijing. The breed remained virtually isolated from the rest of the world before the countries of Europe began to spread their influence in China and Japan. They first made meaningful contact with the Western world in 1860, during the British and Chinese Opium Wars. Soldiers stumbled upon 5 Pekingeses residing inside the Old Summer Palace before its destruction, and they were divided among British royalty. One of these dogs even made its way to Queen Victoria herself. They became well-known in Europe along with many other toy groups during these years. Towards the end of the 19th century, they were owned by many nobles and other royalty but soon began making their way to the general public. They began appearing in dog shows and the homes of the middle class. Their popularity would take a turn with the outbreak of WW1. 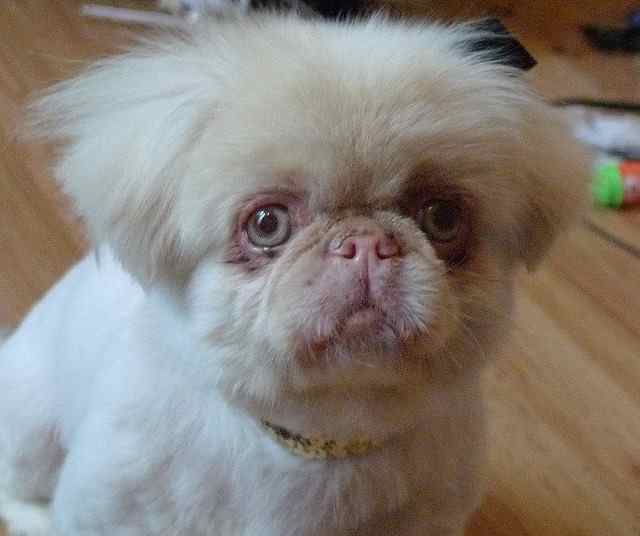 Before WW1 erupted in Europe, the Pekingese had made its way into the US. They were first registered by the AKC in 1906 but remained fairly rare for a long time. The Pekingese Club of America was founded in 1909, three years later. The introduction of this breed into the western world was timely, as the breed soon face destruction in China in 1911. WW1 set all breeding efforts on the backburner for a while. The countries of Europe prioritized the war, focusing all industry and production on winning the war, not creating Pekingeses. The breed became less popular and lost population during these years and the ones following. The war was very expensive, and affording pets were not as important as affording food. The Great Depression in the US and the ravaged post-war Europe did not provide ideal conditions for people to own domestic pets or afford other such luxuries. In the US, the breed managed to build more on its newly founded base, but wouldn’t see much action until after WW2. After WW2, the US saw a large economic boost that allowed for many breeds, such as this one, to be purchased by the American people. The breed continues to display its unique qualities all around the world today. It is gaining popularity but remains a relatively rare breed altogether. Today, it holds the ranking as the 80th most popular breed of the 178 purebred dogs. 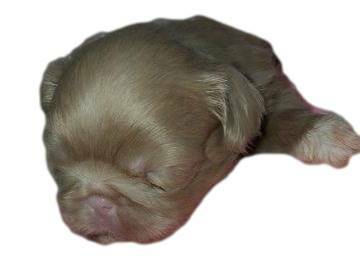 Albino Pekingese dogs look other Pekes but they do not have melanin so their skin is pink. Albinism is associated with blindness, sensitivity to the sun, eye problems, skin cancer, and a lower IQ. They make good pets but should never be bred. Training a Pekingese presents a decent amount of difficulty. The dog is stubborn, and will abuse a weakness it detects in its owner. Bad habits must be dealt with early, or else they may take root. Potty training requires consistent and frequent positive reinforcement, given their tiny bladders. Positive reinforcement is undoubtedly the route to go with this breed. They are more sensitive than others and react poorly to harsh criticism of their actions. 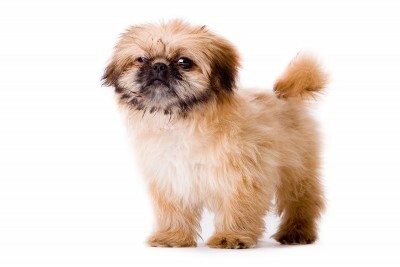 Scolding a Pekingese for doing something wrong will only make it more reluctant to learn. Don’t spoil the dog, however, as it will become demanding and authoritative if its owner is not. Socialization is an important part of training any dog. Taking a Pekingese on frequent walks or to obedience classes are ways to expose the dog to other people, sights, smells, and animals. A well-socialized dog will be less anxious and vocal of things they find unusual. They will also be more likely to mingle with guests. Regarding guard dog status, these dogs are not an ideal means of defense. They have the courage and loyalty to defend their owners to the death, which would be short, given their size. Their small build is not only incapable of inflicting much damage and unlikely to subdue a would-be intruder. You could say that they are all bark and no bite. This makes them capable watch dogs. The breed is already notoriously wary of strangers, and will bark when alerted to one. These dogs were historically used to alert their owners to intruders, and manage to do so to this day. The Pekingese’s coat requires some extensive brushing to keep them looking their best. Their coat can mat easily but otherwise is not too hard to manage. It’s recommended that they are brushed thoroughly at least once or twice a week. Their coats are like mops, picking up anything they run through. Brushing will remove much of the dirt, but these dogs do need to be bathed. May owners wash their dogs twice a month and some once a week. Contrary to popular believe, if you use a high-quality dog shampoo followed by an equally high-quality conditioner, the coat will not dry out. Spraying on a misting of conditioner before brushing also protects the hair and keeps it from any breakage. Dogs need their teeth brushed as well as their coats. Regular brushing will remove plaque, prevent tartar buildup, and help freshen the dog’s breath up. Supplying a dog with ample dental care is just as important as a visit to the vet. It’s recommended that they have their teeth brushed 2-3 times a week. It is important to take care of a dog’s nails too. If a dog’s nails become too long, they may become irritating to them. A good way to tell when a dog’s nails are too long is by listening to hear them click against the ground as they move. If you don’t hear any clicking, it’s safe to assume that they will probably need their nails clipped once every two or three weeks. 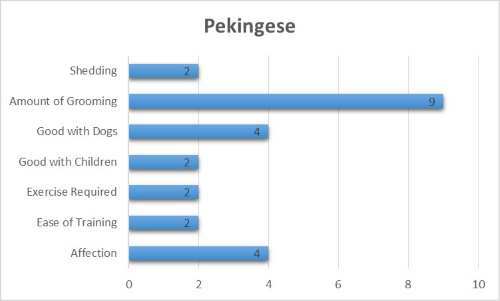 Pekingeses will need their ears checked and cleaned regularly to prevent the buildup of debris. Cleaning a dog’s ears removes built up wax and bacteria, and often owners will do this once a week. With this breed, it is also important to make sure the folds of skin on its face are clean, as they can become infected as well. A quick face wash daily helps prevent any infection from occurring. It’s important to take into consideration the possible health problems associated with a breed. Some breeds are more prone to certain health conditions than others. Owners must be aware of these risks to provide the dog with sufficient healthcare. 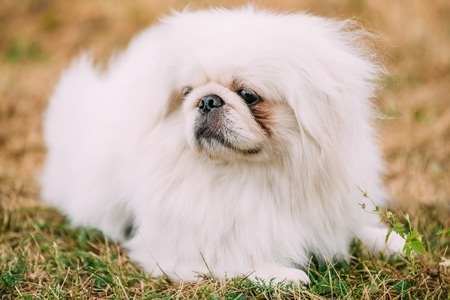 While the Pekingese is a reasonably healthy and long living dog, they are known to be prone to the conditions that follow. Just because they have been identified in the breed does not mean your dog will have any of them, but it is important to be aware in case you notice anything unusual. It is important to purchase a dog from a reputable breeder as well. A good breeder will know a lot about the breed, and be able to pass health checks for their dogs.